Back on tour again! 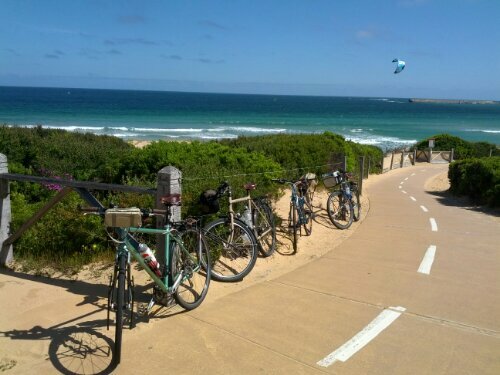 This trip we are planning on cycling from Warrnambool to Melbourne along the Great Ocean Road and Mornington Peninsula. Attenting are Steff, Rich and Bill. 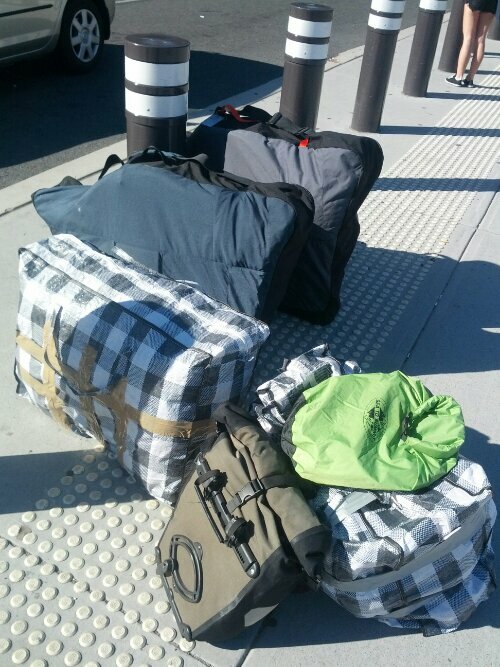 Flying in from different parts of the country on Friday, we met in Melbourne and hauled our giant bags from the airport bus drop off to the closest hotel. Whilst the maybe 100m walk was short, it none the less took ages with all the luggage. 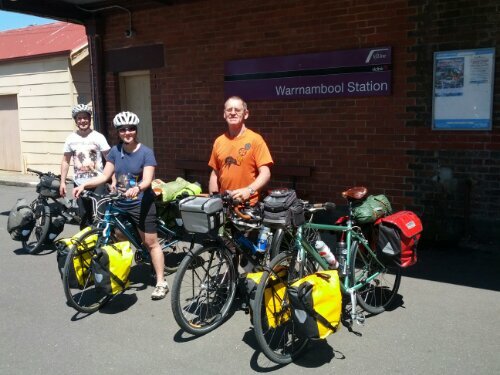 We got up early on Saturday to catch the train out to Warrnambool. 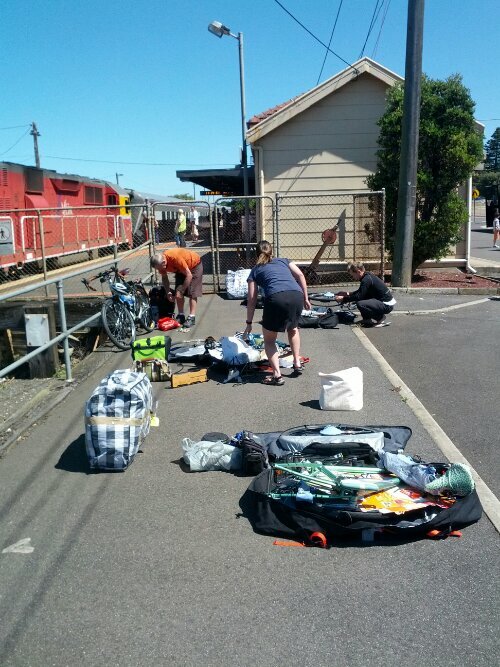 The awkward walk to the train station was repeated and we checked in our bikes and panniers once we found the check in area. 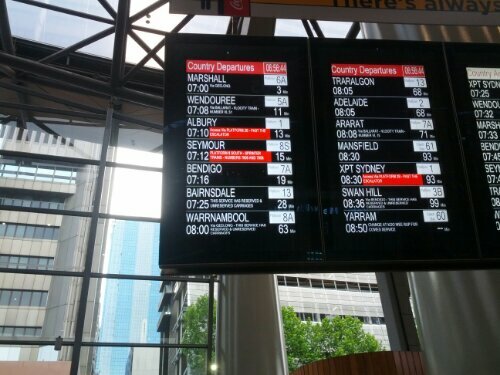 We then procured breakfast and hopped on the 8am train. The first class seating was well worth the extra $9 with huge seats and loads of leg room. 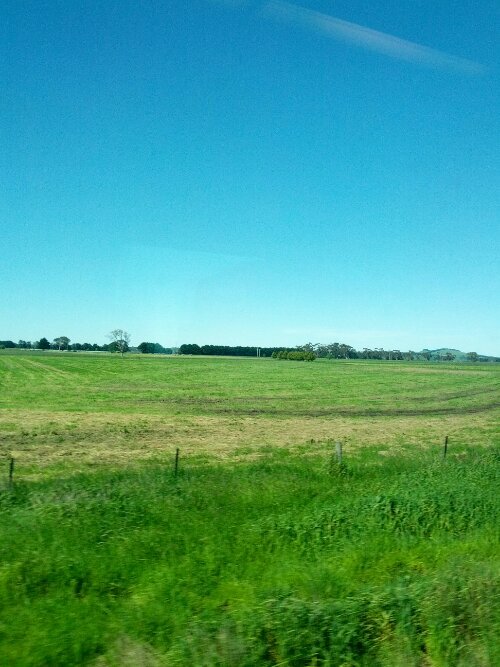 The very green countryside passed by quickly and there were a few stops before Warrnambool. We arrived a few minutes late and was met by Bill on the platform. We started to reassemble the bikes in the car park. With a few back to front parts and passing around of the tools, the bikes seem to have survived their journey with only a few extra scratches. Fitting the tardis bag in to the panniers was a new experience and it took up much more room than I had expected. Some one might have gotten and bit sunburnt. We had pulled lamb rolls down at a Cafe in the main street for lunch. Bill lead us down to a gorgeous campsite right on the ocean. We set up and then rode along the shoreline along a shared path that runs the length of the bay. Absolutely beautiful. The rest of the afternoon, we spent at Falgstaff Hill historic village poking around the exhibits and restored houses and shops. Back to camp for a relax and beer before heading to a nice restaurant for dinner. Weather for day 2 to Port Campbell looks terrible with rain and windy conditions forecast. 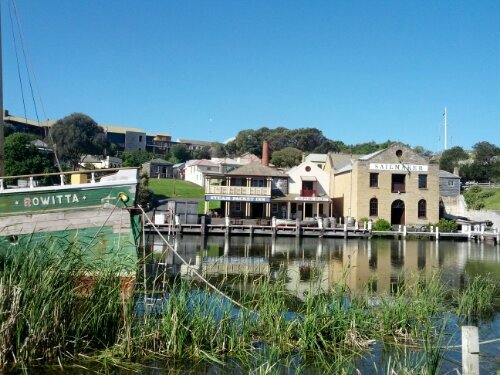 This entry was posted in Great Ocean Road 13 by jarrowz. Bookmark the permalink. Can finally read your blog, just had to change countries. We are envious of your clear blue skies and fresh air.